EnV hair lounge & wig center has a staff of licensed cosmetologists you can trust to help you with your choice of wig, hair addition, & extensions. 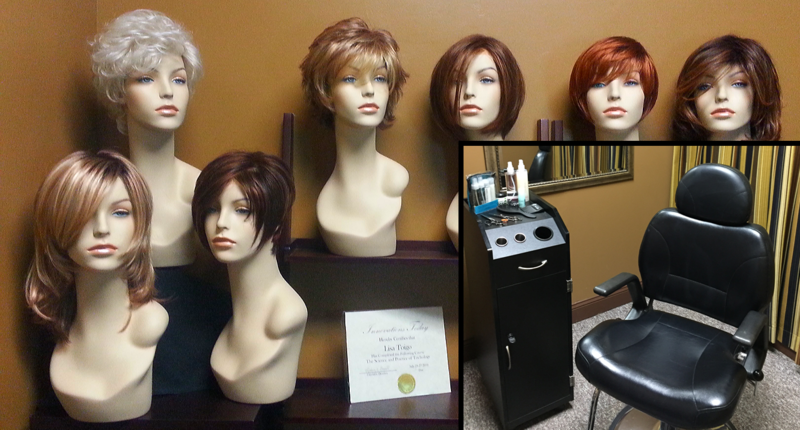 We offer a large selection of custom order wigs from short, edgy bobs to long flowing waves. A private treatment room is available for discreet and personalized treatments including fitting, customization and styling of all wigs, hairpieces and extensions. The initial consultation appointment is 30 minutes long and the fee will be applied to your wig purchase. Wigs and hairpieces may be covered under health insurance for medical purposes. Please check with your insurance provider so we can work with you to attain reimbursement. Booking a wig consult appointment? A client record form can be printed (below), completed, and brought to your appointment or one can be filled out upon your arrival.